A vision trip is an eye-opening experience that allows a church to see first hand what’s involved in a long term mission. For ACC this was a great first step that came after many hours of praying and months of research. Four members of the church travelled over 5,000 miles to the Nebaj region of Guatemala to a small town called Villa Hortencia II. The trip in itself was not as rough as Kevin, Ray, Bill and Mariela may have thought it could be. But there were times were muddy roads and too many refried bean pushed them out their comfort zone. However, the willingness to follow God’s plan prevailed. They visited about a dozen different communities in the Quiche region. They were all within a two-hour drive from the main town, Nebaj. On the fourth day of the trip they arrived at Villa Hortencia II. It is a village in a valley with richness in nature beauty that’s hard to explain. The village has around 200 children and the major source of income is farming. The road is narrow, twisted and muddy. There are no cars in the village. There is one school, a small ambulatory clinic and a handful of churches. However, the leaders of the community were well prepared to host the team. They brought out their best chairs, biggest table and a sample of their best fruits and produce. They were enthusiastic when presenting their hopes. They did not ask for a hand-out but rather for a hand-up to materialize the projects they believe will make their village sustainable. Children smiled despite their circumstances. They played like any other children, though only when home duties allowed them to do so. We saw many school-aged girls carrying their younger siblings in their backs while pasturing some goats. Some boys carried big loads of firewood on their backs and we saw them walk for miles delivering the wood to their house. Loads of laundry hung from the verandas of their homes and in every house a garden of dry, hard looking corn picked through the fence. But this is the village the team felt lead to partner with. People in the village showed a confidence in God’s Love that encouraged the team to suggest to the congregation that this was the right fit. Perhaps the similarities also helped. They are a farming community in a valley just as we in Sussex are a farming community in a beautiful valley. These are God’s people trying to provide the best for their families just as we are trying to do here at ACC. This is how the partnership got started. The team made it official in the spring of 2009 when ACC signed their commitment with FH Canada to support the village and to develop a long-term relationship that will bring changes to both communities, Villa Hortencia II and ACC. We know the BEST is yet to come and we are EXCITED. Global missions at ACC are an opportunity for you as an individual and us as a church to make a difference in the lives of others outside of North America. We believe global missions are about partnering with another community through prayer, financial resources, child sponsership and service. Are we working with a Christian organization? YES! We are partnering with the Christian organization Canadian Food for the Hungry, www.fhcanada.org . All FH Canada programs are administered by skilled staff members who use a strategy based on solid biblical principles to empower churches, leaders and families in local communities. Their vision is "to walk with churches, leaders and families in overcoming all forms of human poverty by living in healthy relationships with God and His creation." What community are we partnering with? We are partnering with Villa Hortencia II in Guatemala. It is a farming community with a population of about 630 people, made up of 130 families. This includes 200 children between grade K-6. The village is located 32 km from the city of Nebaj in the Quiche region of Guatemala. The community's road access is treacherous and for the field staff the trip to Villa Hortencia II can take from 1.5 hours by truck or up to 5 hours of walking through mountains, muddy dirt roads and valleys when the roads are inaccessible. People in Villa Hortenia II are hard workers and predominantly Christian. Half of them claim to be Protestant and 20% identify themselves as Catholic. They survive by farming (mainly corn) but the harvest is not enough to provide food for the entire year. Consequently fathers (as well as some older children) migrate to work on coffee farms twice a year to help with the family income to buy food that their harvest did not provide. On the plantations they earn an average of Q20 (about $2.50) per day. Some families raise chickens and pigs, but to sell them they have to travel to the nearest town of Cotzal (about 22 km) which takes about 4 hours by foot. Women care for their children and their household, but also help their husbands with the farming and sometimes they weave clothing "on the side" in order to supplement their income. Vlla Hortenia II faces the challenges of isolation and remoteness combined with poor access roads and lack of transportation. There are no vehicles in the village. They feel abandoned, as governement programs often do not make it to them. Their access to healthcare facilities and to a market to sell their products is simply not enough. The closest hospital is 5 hours away. Thre is only one school in the village but there are no options beyond grade 6. Many parents are still illiterate and only 40% of the children attend school. Potable water is scarce. THere is piped water but it is not drinkable without treatment (boiling). People are their strongest resource. They are incredbly hard workers and thrive to produce as much as they can with the very little they have. There is an abundance in agricultural resources that could be well used. The village is located within a valley up in the mountains, and has a micro-climate which allows them to grow many different foods. Besides corn, they are also able to grow citrus, sugar cane, and other local fruits. The problem for them is the lack of transportation so that the crops can be sold to other markets. Women are weavers and have asked specifically for help so they can start a women's co-op. Physically: through safe water, nutricious food, health care and training in hygience and disease prevention. Intellectual: through schooling needs, tutoring and improvements to the school environment. Socially/Emotionally: through group activities, life-skill training and home visits. Spiritually: through the opportunity to learn more about God, His love and plan for their lives. Prayer and Encouragement: Please keep the people from the village in your prayers, and also those involved in the ministry. Prayers of guidance and wisdom are always welcome! Gifts: Ordering form the FH Canada Christmas gifts catalogue, a present will make a real difference insomeone's life. Money: Money donated through the offering, marked Global Missions, will help support our partner village. 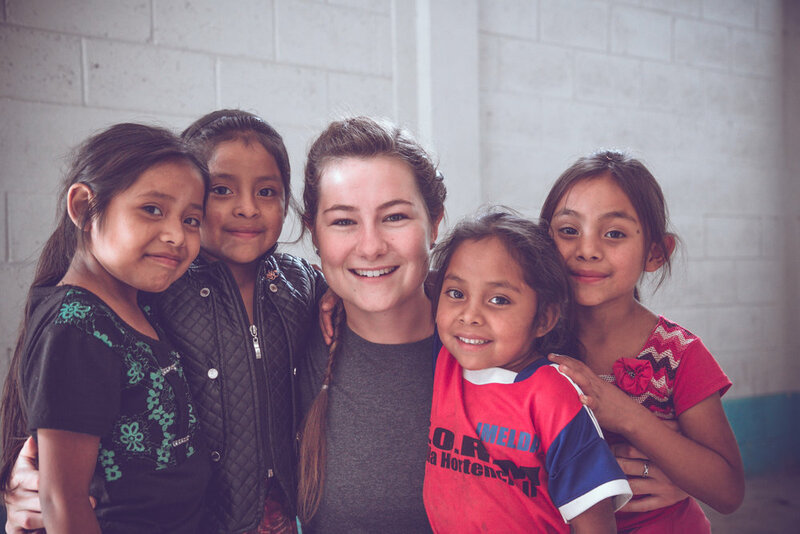 Mission Team: Consider the opportunity to serve in person in Villa Hortenia II, a life-changing experience that will truly fulfill Jesus' command to care for the needy.